Jeff Spenard has over 20 plus years of broadcast media experience and is currently the owner of World Talk Radio, LLC, home to the VoiceAmerica Talk Radio Networks. Mr.Spenard is the former President of Modavox's Internet Radio division and also served on the Board of Directors. Jeff has worked with over a thousand industry professionals to help them establish a foothold within the media community. In 1994 he acted as the director of development, managing sales as an Executive Producer for a 50,000 watt independent talk station in New England. Over the course of three years, while building and strengthening a consistent format, the independent talk station expanded and purchased an additional 50,000 watt station in Phoenix, AZ. Mr. Spenard provided instrumental leadership and guidance for the independent talk station's growth and transformation. Following several years of development and syndicating programs, He realized the opportunity to navigate his experience towards Internet Based Radio and became one of the leading minds in the industry. Starting in early November 1999 Mr. Spenard visualized a format which ultimately became VoiceAmerica, a key member and one of the original "co-founders" of the Internet Talk Radio Network. In time Mr. Spenard rose to the level of Network Director, Vice President, President and now CEO of World Talk Radio, LLC. Jeff has worked to develop over 1000 radio programs and has expanded his business into Internet TV and other multimedia divisions. As a leader in the field, Internet TV has become a major focus, and with the addition of Broadway and Hollywood, just two of many projects to come, Gateway Media Group LLC, which is the video production company and runs www.VoiceAmerica.TV, also owned by Mr. Spenard, will be another strength in the multi-media industry and adds a new dimension to the overall growth. Ryan has been in the Audio/Video Production field for 17 years. He started out with terrestrial radio in 1999 but quickly moved into "New Media". Ryan has been a thought leader in the Digital Media space for a decade and has been with VoiceAmerica.com since 2004. Managing Internet broadcasting and interactive web services. Ryan has been in many facets of the industry, including audio and video post-production editing, live audio production, and interactive web content delivery. "I love what I do, and Love technology. I am dedicated to making production operations and digital delivery a class act. Angie is a native of Arizona. Being a child of the internet era has learned the functions and benefits of social media hands on. Angie manages our internal social media as well as helps hosts expand their social media knowledge and reach with training and support. “I love what I do and I love who I work for, the network and the hosts! We really do have some of the best in the world!” In her spare time Angie enjoys outdoor activities, playing with her four dogs and spending time with her husband and baby daughter. She lives in Phoenix and is happily married to her high school sweetheart, Ryan. Sandra Lynn Rogers was born in Chicago and relocated to Tucson, Arizona in the late eighties. She is currently enjoying her role as an Executive Producer and Network Director with VoiceAmerica. Sandra says "I love finding talent and hearing the passion of hosts on the Network. It has been a life changing experience. I thank GOD for all my family and friends, and all I've experienced in my life." 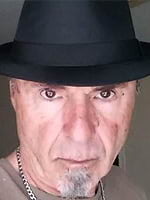 Jeff has over 30 years of broadcast radio experience, having worked on-air in a variety of music formats and management positions in the Monterey/Salinas/Santa Cruz broadcast market in California and in the San Diego/Tijuana broadcast market in Southern California and Baja California, Mexico. In terrestrial radio, he worked for AM and FM stations ranging from a 48 watt FM station (yes, a light bulb was more powerful) to a 100,000 watt FM station in Mexico where he parked his car under the broadcast tower for three stations! He worked for, and hosted a show on the company's World Talk Radio Network, which was acquired in 2007. He now serves as Director of Host Services for the VoiceAmerica Talk Radio Network, and World Talk Radio Network. "I love to be creative, which is an excellent trait to have in helping hosts launch a successful show on our networks. What I like best about my position is working with so many unique and talented people, both behind the scenes, and in front of our listeners. I get to meet new people every day, and help them become true on-air professionals." Jeff hosted his travel radio program on World Talk Radio for six years, and had been in travel sales, or travel sales management for eleven years prior to joining VoiceAmerica and World Talk Radio. He majored in Geography at San Diego State and is A+ IT Certified. He lives in the San Diego area with his wife Rachel. In his spare time he loves to write, and listen to a very wide variety of music, a result of all of his years in music radio. 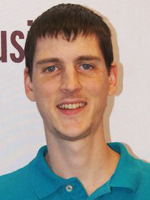 Matt is the Lead Engineer at VocieAmerica and is always there to help hosts with any show related issues. Matt just makes Radio happen! 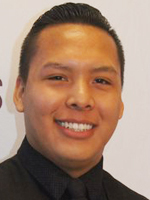 After graduating from the Ohio Center for Broadcasting, Aaron got an internship at a Cleveland radio station and eventually a news writer and production assistant position in the industry before finding his fit as a board engineer at VoiceAmerica. Aaron enjoys anything that has to do with Star Wars and is an avid video gamer. He enjoys talking to people and working with technology. He feels that he is able to fulfill both of those aspects of his life with his experience in the fields of broadcasting and customer service when he runs shows. His most important rule for new hosts: "HAVE FUN WITH THE SHOW AND DON'T WORRY ABOUT THINGS BEYOND YOUR CONTROL. THAT'S MY JOB AND I AM HAPPY TO DO IT"
A-Rod is a Audio Engineer and Music Producer who has been in the industry with over 5 years of experience and has been in many facets of the industry, including audio and video post-production editing along with live audio production. A-Rod started his career as a freelance DJ entrepreneur during his early High School Years. He attended college at the Conservatory of Recording Arts and Science. A-Rod is very diverse in many fields which includes sales and marketing, business branding, coaching, hospitality & restaurant management and many more. A-Rod like to work hard and play hard. When he not focusing in the studio like a jedi recording master you can find him out and about being a major socialite in the Phoenix Area. Andy Costello was born just outside Boston, Massachusetts, and currently lives just outside Phoenix, Arizona. He is an illustrator, graphic designer, and digital artist, with a degree in Graphic Art & Visual Communication. He’s got nearly two decades of experience making art for others, including software, educational, non-profit, theatrical, spiritual, ecclesiastical, fandom-based, and retail organizations and companies. An avid comic fan since 1992, Andy has also been making his own comics since 2003, and once co-owned a comic book store. When he’s not doing something art-related, Andy is probably either searching for the perfect slice of pizza, or trying to figure out why people are willing to pay so much money for old Happy Meal toys. Senior Executive Producer Robert Ciolino says he has a passion for everything Internet, with his earlier professional career in the world of online marketing, web development, and social media. When he realized the potential that Internet Radio has to reach the entire world with a message and how powerful that truly is, he just had to be a part of it! 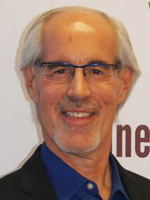 Robert believes that every VoiceAmerica host has their own unique flair and has developed shows with many of the network’s top hosts, whom he calls “truly passionate people”. Robert can often be seen interviewing keynote speakers and guests at many of VoiceAmerica’s Live Events across the country. Robert has traveled and lived all over the planet, from Germany to Hawaii, but has called Arizona home for the last 19 years. He also loves music and is a mean guitarist and performer who enjoys jamming on Saturday nights with his neighbors in Cave Creek, “Home of Cowboys and Caviar”. He lives with his wife Jennifer and their black cat Shadow. Karen Dana is a Senior Executive Producer for VoiceAmerica.com and has been with the company since 2005. She has produced and launched numerous programs, and is responsible for producing and launching the first program dedicated entirely to autism. Karen is the proud parent of two daughters, the youngest of whom was diagnosed with autism. Through her tenacity, research and intervention, she successfully sought out treatments and therapies that have been effective in helping her daughter with her on-going recovery from the disorder. Karen is an Arizona native with very strong roots in the Valley of the Sun. Karen’s entrepreneurial spirit led her to six year tenure as a small business owner. While owning and operating her business, Karen simultaneously pursued a college degree. She is an alumna of Arizona State University where she studied abroad in Spain, France, Italy, and England and earned her Bachelor of Interdisciplinary Studies in Business and Food Nutrition and Management. 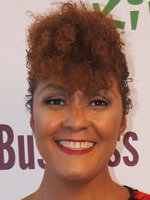 Camille L. Nash serves as a Senior Executive Producer with VoiceAmerica who previously graced the presence of television news as a journalist with ABC-TV, working both in front and behind the camera. Earlier in her career, she worked as a professional fashion and print model. 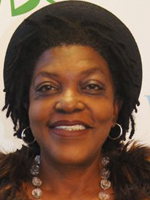 Camille is a member of the NAACP Cleveland Chapter, National Bankers Association, National Association of Black Journalists and has facilitated business workshops and seminars in the U.S., Canada and Mexico. Camille graduated from Boston University with a Bachelor of Science with two majors in Finance and English. 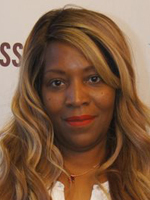 She has also earned a Master of Business Administration and Master of Arts Degree in Psychoanalytical Studies in addition to graduating with honors from the Connecticut School of Broadcasting, majoring in Mass Communications and Broadcast News. Camille is a Cleveland, Ohio native and says her private passions are community theater productions, writing non-fiction and teaching at the collegiate level. The role Camille is most proud of is being a mother to three wonderful children, Briana, LeBron and Lyneil Trevon. 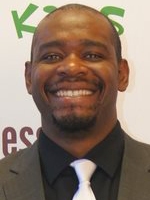 Winston Price, Senior Executive Producer, has over 20 years of marketing, advertising and public relations experience. 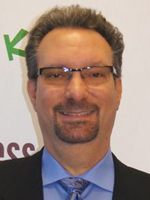 He began his business career in 1995 and is a graduate of Indiana University Bloomington. [Connect with Winston on LinkedIn HERE: https://www.linkedin.com/in/winstonprice] Winston also is a master martial artist and personal trainer with over 25 years of knowledge and experience. Winston runs his own school, Internal Magnification Martial Arts, where he focuses on helping people reach their personal goals of health and fitness via At-Home personal training with martial foci of Taekwondo, Tai Chi Ch’uan, Hapkido and Ba Gua Zhang. As a senior executive producer for VoiceAmerica, Winston utilizes his skills in business and personal training to help new and existing hosts maximize their opportunity with the VoiceAmerica Talk Radio Network by supporting his hosts with the complete business and personal aspects of creating and developing their show. Winston believes that each host brings their own flavor to the Network. By properly coaching and motivating his hosts, they are able to produce THEIR show with THEIR style and THEIR passion being at the forefront of every broadcast. Tacy Trump joined VoiceAmerica in 2002 and is the network’s most veteran Senior Executive Producer. She has developed many long running original and innovative shows, some on air for more than a decade. Tacy found her calling here over 13 years ago and the rest is history. She has not only a keen eye for talent, but also supports her hosts to further their media objectives and marketing by working closely with each host to make their important messages shine. Her long list of network radio hosts include Joyce Bender, Kathryn Zox, Jay Taylor, Chris Cooper, and Jordan Goodman. Tacy manages a portfolio of clients on the Business, Empowerment, Variety, Health & Wellness, 7th Wave, and Sports channels. Her clients appear regularly in national and international media outlets such as MSNBC, CNN, Fox as a result of their long running shows. 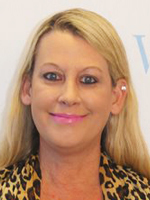 Prior to joining World Talk Radio, LLC/VoiceAmerica, Tacy worked internationally and domestically for several companies on their marketing, design, and public relations efforts. Tacy received her BA in Studio Arts from Richmond, The American International University in London. She is a native of Philadelphia, PA, and lives in Tempe, AZ with her two feline companions. 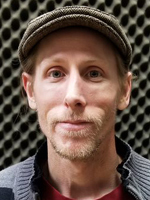 Executive Producer Thomas Burrows comes to VoiceAmerica with an extensive background in music entertainment production, music industry promotion and management, and is an experienced producer and host in radio and television. Thomas’s early music industry experience was as a booking agent for music acts, also discovering and developing musical talent. In the 1990s, he launched the Tiara Productions record label and Ruby Tiara Music Publishing (BMI) where he managed and promoted local, regional and national musical artists and comedians. He expanded into creating ongoing radio programming on a Palm Beach, Florida radio station with the successful “Black Friday Concert Series” and the “Black Friday Preview Hour." As the host, he interviewed and highlighted musical acts. Thomas then brought his music and comedy format to the “Mick @ Nite” TV show carried on the UPN Network affiliate in South Florida (Paramount TV) as the Executive Producer of the show. Additional projects in radio included creating and co-hosting “The Beit and Burrows Show” and an estate planning radio show on KJLL in Tucson, Arizona. In addition to his entertainment experience, Thomas has been a national business leader in both tangible and intangible products and services. Personally, he is an outdoor enthusiast and enjoys hiking, the performing arts, and is an archery competitor. 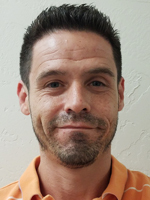 An avid reader, writer and father of two, Arizona native Jesse Jamison joins the VoiceAmerica Network with a background in traditional talk radio. "I relish being an executive producer with VoiceAmerica because everyday I'm making connections with some incredibly determined people, all on the cusp of taking that next step in their careers." Randy is a native of Cleveland, Ohio. He is the father of 2 daughters and grandfather of 3. Randy graduated from Kent State in 1986 with a Bachelors in Business Administration. He is also a veteran, having served with the U.S. Navy. Randy is a huge sports fan, especially of his hometown teams, the Cleveland Browns and Cleveland Indians. 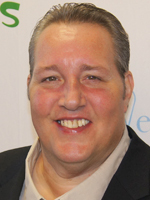 Randy comes to VoiceAmerica with over 30 years of experience in Marketing. My name is Hubert Mason, and I traded in the Rocky Mountains of Colorado for the Phoenix sunshine. Years in marketing has imparted the following truisms: I know that the action you take or don’t take is much more important than your physical location or circumstances. I also know that most career paths in marketing rarely give one an opportunity, from the onset, to make a profound difference in the lives of others. Rarely can a relatively unknown motivated individual/entity affordably obtain the support of a professional media company that has a twenty year track record of success. With years of experience in direct marketing, and an understanding and appreciation of the power of words and imagery, when I discovered that VoiceAmerica was and is instrumental in facilitating the success of those that have goals and dreams, deciding to give my all as an Executive Producer was a no-brainer. Like most grandfathers, I have lots of advice for my grandchildren. Quite often I tell them that “focused exceptional people have something in common with NASA, the courage to explore the unknown.” But, unlike NASA, the exceptional person gets a chance to re-launch their spacecraft (themselves) daily in pursuit of their dreams. Utilizing the marketing acumen I’ve acquired to assist and encourage those that truly desire seeing their goals and dreams come to fruition provides me with a sense of satisfaction, and a reward that keeps giving. Cynthia Marie Valenzuela was born in Tucson, Arizona is a many generation Arizonian, has many years experience in marketing and advertising and is currently enjoying the opportunity as an Executive Producer with VoiceAmerica. "I am what is mine. Personality is the original personal property." 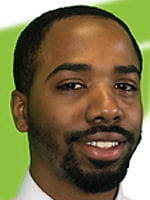 Javon Williams was born and raised in Bethlehem, Pennsylvania. From an early age, he was embedded with the entrepreneurial mindset and work ethic to separate himself from the pack. With a background in sports management, personal development, digital marketing and web design, his skillset sets him up perfectly to ensure that his hosts get the most out of their show and the experience.